Possibilities abound with Visor, a thought-provoking lounge collection that naturally enriches the concept of versatility. Public models offer the ability to rest, work or chat with neighbors, while private and semi- private units create opportunities for seclusion in open areas. 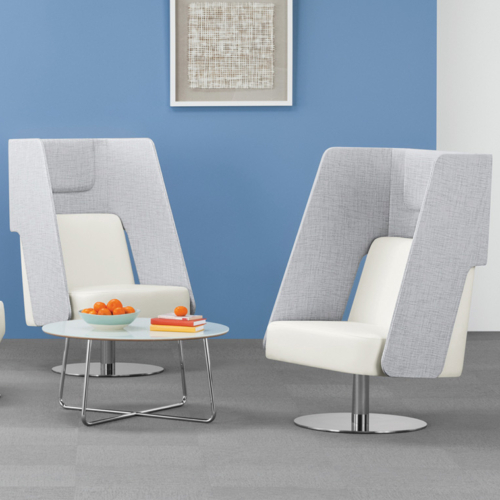 Effortlessly accommodating casual meeting environments, touchdown spaces, study areas and more, Visor offers enviable options to foster ideas and yield the best, most fruitful of collaborations.